Anyone interested in learning to dive in Thailand or taking a dive trip will find a lively scuba scene with well-run dive centres on Koh Chang. Plus a range of dive sites suitable to novices and beginners, one of the largest wrecks in Thailand,the HTMS Chang, and a multitude of types of fish and marine life including Whalesharks, the world’s largest fish. If you’re only a little bit curious about what the two-thirds of planet earth that lies underwater looks like, there are only two ways you are ever going to satisfy your inquiring mind, either a) evolve at a rather rapid pace and grow gills or b) learn to dive. So, whether you grew up watching the exploits of Jacques Cousteau or have a newfound desire to see relatives of ‘Nemo’, the clownfish, up close and personal, you’ll find that there are dive courses and dive trips available for both kids & adults that will meet your needs without breaking the bank. Tripadvisor has hundreds of reviews from divers and the overwhelming number are very positive about their experiences diving around Koh Chang with all dive companies based on the island. Dive trips run throughout the year. But the main scuba diving season is from November until May. You’re usually guaranteed pretty good visibility, around 10 – 15 metres, and calm seas. ( The ocean can be particularly clear in early November, at the end of the rainy season, when visibility reaches 25 metres. ) Whilst Koh Chang will never compete with the Maldives as far as the visibility and ease of seeing reef sharks and rays goes, you will see far more living coral here and an equally types of reef fish. PADI Courses are the staple of all dive schools. But don’t start a course thinking that it will make you into a proficient diver within the space of 3-4 days. It won’t. But it will ensure you know how to breathe underwater and that you won’t be a danger to others. PADI is ‘the way the world learns to dive‘. Which means they are the McDonald’s of diving and as such are commercialised. So the instructors teach the required knowledge to get you to pass a a particular certification and no more. There’s a lot of upselling – “Would you like fries with that?’ or a BCD, a regulator, dive computer , Advanced Open Water course?” Think of the Open Water course as the starting point, and not the end of your scuba diving training. 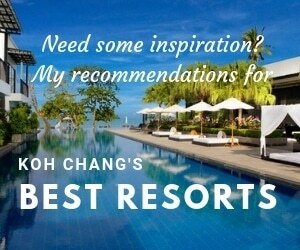 Here are some brief reviews of the dive sites south of Koh Chang which are regularly visited on scuba diving trips. Hin Luk Bat. ‘Hin’ is the Thai word for a lump of stone and Hin Luk Bat is a very large rock pinnacle. It’s located 30 minutes boat journey southwest of Bangbao pier on Koh Chang. Due to it’s convenient location it is also one of the more popular dive sites. The pinnacle drops down to over 20 metres and an hour can easily be spent underwater circumnavigating the pinnacle at differing depths. You are almost certain to encounter large schools of fish, these range from barracuda and grouper to butterfly and angel fish. Hin Rap. This site is a couple of kilometres further south of Hin Luk Bat. Another rock pinnacle where Staghorn corals and an abundance of smaller reef fish are the main attractions. This isn’t an area for deep water diving as the southern side drops to a maximum of 16 metres. Koh Kra. This island of the north coast of Koh Rang provides a gently sloping reef upon which gardens of staghorn coral and the usual wide variety of lively reef fish are seen. The coral lies less than five metres from the surface. 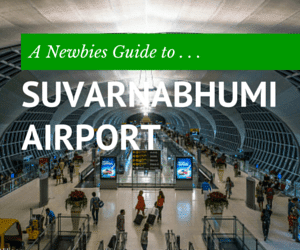 This makes it an ideal fun, shallow dive for anyone beginning their life as a scuba diver. Rays are also often seen on the seafloor. What underwater life will I see? The Koh Chang Nature site contains a good section with photos and info on fish and marine life that snorkelers and divers can spot. Including Whalesharks, which can often be spotted around the wreck of the HTMS Chang from January – April. You may also be able to spot sea turtles, colourful nudibranchs plus larger fish such as Moray Eels, Trigger fish and Barracuda. This in addition to the multitude of common reef fish. Koh Thian. A small island off the north east coast of Koh Rang. Although the coral reef isn’t as good as it once was – due to this locations popularity with snorkellers as well as divers. There is some great underwater scenery and are guaranteed plenty of opportunities for underwater photography in the shallow waters surrounding the island. Koh Yak. ‘Yak’ means ‘giant’ in Thai, but giant is the one word that doesn’t come to mind when you first see this small rocky outcrop of an island. However, size isn’t everything and this is a great shallow dive. The sea floor lies under less than 10 metres of water around the island. A wide variety of corals are found here as are many colourful anemones and the clownfish that lurk within them. Stingrays and Moray eels can be found hiding under rocks and in cavities. Hin Kaduang. These two rock pinnacles drop down to almost 30 metres making this one of the deepest dives in the area. Turtles are relatively common here and even reef sharks are occasionally seen. However, rather than keeping an eye out for rare creatures, divers should simply enjoy the wide variety of both hard and soft corals and profusion of marine life. Wreck of the ‘Thonburi’. The Thonburi was sunk by the French in 1941 in shallow waters close to the southeastern tip of Koh Chang. The wreck now serves as an artificial reef, that is if you can see it. As the visibility is next to zero here due to the amount of silt. If your swimming along 20 metres down and smack your head on something metallic, you’ve found it. No dive companies run trips to this wreck – as there’s no point. Wreck of the ‘Chang’. The HTMS Chang was sunk by the Thai Navy in November 2012 to act as an artificial reef. It lies in 30 metre deep water although the captain’s cabin and mast are around 12 metres deep. The ship is 100m long, one of the largest shipwrecks in Thailand. You can expect to see a wide diversity of marine life with everything from Barracuda, Grouper, Squid and Octopus to a multitude of reef fish which have now made the wreck their home. And if you have good luck you’ll see a whale shark. They often visit the wreck during High Season. This 60 second video shows what it is like to swim with one of these 6 metre long fish. Wreck of the ‘T11’. The HTMS Chang wreck drew a lot of good publicity to the island and so the Navy decided to scupper a second vessel close by. A type of tug they found they had no use for. The T11 was formerly the USS PGM-71. It is now a 30 metre long home for fish that sits in 16 metres of water close to Hin Rap. The smaller size and much shallower depth make it a great dive for first time wreck divers. If you want to know what to expect and get a better idea of where you’ll be diving on holiday, then this video does a great job of setting the scene. If you’re wondering, where to learn to dive on Koh Chang, the good news is that there are no scammy dive companies here. There are a relatively small number of dive operators, who all know each other and work together to help keep the ocean clean and provide divers with a good standard of instruction. Most dive schools offer the same range of courses for a very similar price and go diving in pretty much the same spots. Scuba diving prices are around 3,000 Baht for a couple of dives around Koh Rang and 15,000 Baht for a 3-4 day Open Water Course. So the main reason to shop around is to see which dive operator you feel most comfortable giving your hard earned cash to. A few of the main dive companies on Koh Chang are: BB Divers , ScubaDawgs , Scandinavian Chang Diving and Dolphin Divers. All equipment is provided for your course or dive trip. But if you want to buy your own there’s also a wholesaler on the island. 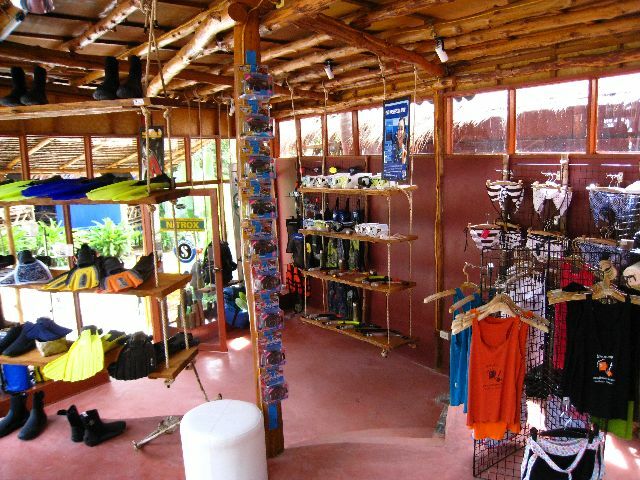 Dive Supply, located near the Post Office on Pearl beach, have a wide range of diving equipment and accessories. Everything from technical gear to masks and snorkels. A lot of people visit Koh Chang and go diving so it seemed only right that I provided some more detailed info on scuba diving trips and courses here and also partnered with a dive centre that I knew had a long standing reputation for providing a high standard of customer service and dive course training. .
BB Divers is a Belgian owned dive school that was established on Koh Chang in 2003. Their main office is Bangbao. The training pool, rooms, restaurant and lounge are in Lonely beach and they also have other offices in the centre of White Sand beach, Koh Mak & Koh Kood. They offer all PADI courses, daily fun dives and snorkeling in a relaxed atmosphere and with a personal approach. Prices all include full insurance, free pick-up island wide, food, coffee, tea and soft drinks, use of all equipment, licensed dive guide for fun dives, licensed instructor for courses plus PADI certification and manual on courses. In short, prices include everything, there are no hidden extras. In May 2007 they were awarded a Reef Check Facility certification, thanks to the effort made in working with environmentally aware divers, and the setting up of a new ‘Eco Divers’ course to educate divers and help protect the remaining coral reefs. Whilst is isn’t 100% necessary to book a dive course in advance, it does make planning your holiday easier if you know when your course will start and end. Arriving on the island and then rushing around contacting tour agents and dive schools and trying to get something sorted out isn’t a good way to start a holiday. Far better to plan in advance, take your time to ask all the questions you want and then book your course with a dive operator you already know. All instructors are PADI licensed, and speak several languages. Every instructor or dive master works at BB Divers out of passion for diving, not just as a job. 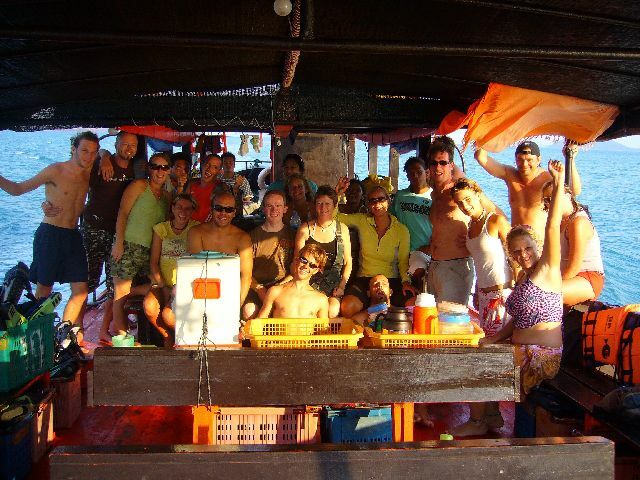 Most ‘BB-ers’ are travelers who started their dive training with BB Divers and found their place on Koh Chang. It became their second home, and every year more and more familiar faces show up again. The boat staff are local Thais and they will take care of your safety on the boat. If you already have your Open Water certification book a dive trip in the Marine National Park, where you will enjoy the clear waters and pristine coral reefs of this protected area. Most places are good for diving and snorkeling. You visit two spots, and on the Koh Rang trips, also have lunch close to a beach where you can take the time to relax between dives. Divers are guided by the Divemaster. You will dive in small groups and use of full equipment is included. A camera can be hired or a photo memory card or CD of the day’s diving can be provided for you. Snorkelers get full equipment; there is a snorkel briefing before you enter the water and a local snorkel guide to show you the best spots. Diving and snorkeling is from the same boat, 80% of the dive sites are very good snorkel sites. If you like to dive the deeper ones then the divers are taken there with our small tender while the big boat stays with the snorkelers for safety. You can be taught in English, Nederlands, Francais, Deutsch and Thai and have the learning materials (books and video) in additional languages including Swedish, Danish, Finish, Norwegian, Spanish and Italian. The prices include all, food, drinks, pick up from hotel, use of equipment, as well as the books and the certificate. The classrooms are in Bang Bao village or at the training pool at Lonely Beach. Confined water is taught in the BB pool or from the beach. For the diving we go out on the dive boat. The experience for non-divers who want to give diving a try. First an introduction to the diving and safety, followed by a few exercises in shallow water. Then we guide you for 2 dives on the coral reef. Great introduction to the sea life. On the first day we show a video and explain diving theory, followed by water training in the pool. The second day is a full diving day, 2 dives. This gives you a limited certificate to dive to 12m, under guidance of a PADI professional. This is the most popular course. PADI OW is the first course that gives you a full diving license, your ticket to the underwater world. After the theory session with video, there is a half day of training in the pool. Then you are ready to go out on the boat for the next 2 days, the training includes 4 dives on different dive sites. This license allows you to dive in open water to a maximum of 18 m.
Improve on your diving skills with five specialised training dives. This is the best and most fun way to improve your dive style and feel confident in the water. Core dives are the deep and the navigation dive, for the other 3 you have a choice out of: night dive, digital photography, naturalist, multilevel, peak performance buoyancy, search and recovery. EFR is a complete training in first aid and readiness to help out in emergencies, useful for every traveller and diver. It is an internationally recognised qualification. No water training, only theory and practical exercises. Learn how to manage dive accidents and assist divers in trouble. Training as a rescue diver is the first step in becoming a helpful buddy and a responsible diver. The first day is theory with video, then we go out for 2 diving days, we work you hard, but you will become a confident and strong diver! There is no better way to make your diving days interesting and learn more about your passion, learn all there is to know about Nitrox, deep, night, navigation, naturalist, search and rec. or uw photography. It takes 2 days of diving to become a specialist in your field of interest. DM training is a speciality, every year we are proud to bring some of the best dive masters to the diving business. All of them find work easily, and are currently working as divers all over the world. A complete, tough but also fun training course, which covers all the aspects of ‘the diving job’ is offered. The DM training prepares you to guide divers, organise the diving, maintain equipment, help in the dive shop and assist in training sessions with an instructor. The DM training program can take from 3 to 8 weeks and consists of academic training, and in the field training, assisting with every possible task there is to be found in and around diving. Take the challenge, ready to leave all worries behind. Go for a full dive training from Open Water to PADI Divemaster and start a new career. You can be sure that these will be 10 exciting weeks you’ll remember for a lifetime. The Assistant Instructor (AI) can be organised according to your planning. It is a great preparation for the IDC, and gives you more time to practise your teaching skills and get some experience before an IDC. An AI is a valuable help in any dive centre. The instructor training is split up in two parts, 5 days assistant instructor, and 5 days instructor. Please contact for more information on IDC dates as there are only three IDC courses per year. Becoming an Instructor will change your way of life, being able to work any where in the world is for many a dream come true and the PADI license is widely recognised. A few more photos . . .
For more details or to book a trip, contact Kristel at BB Divers using the form below.